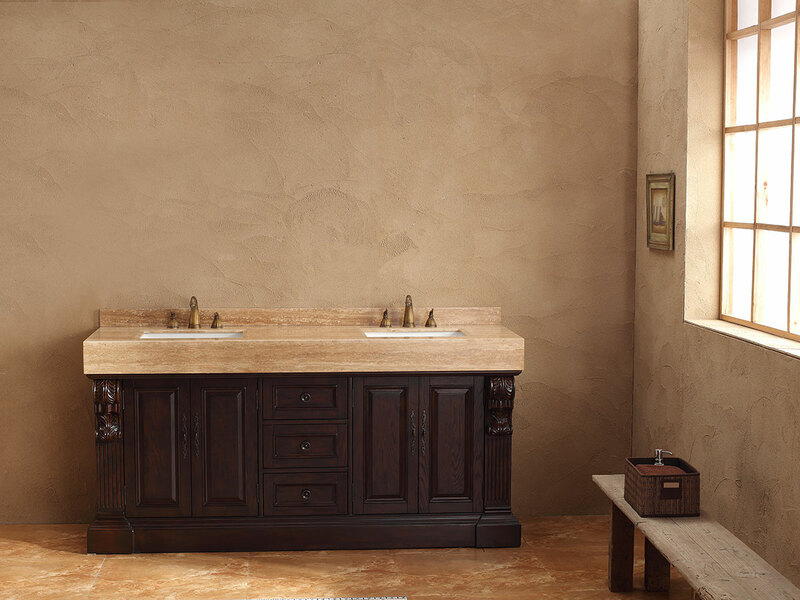 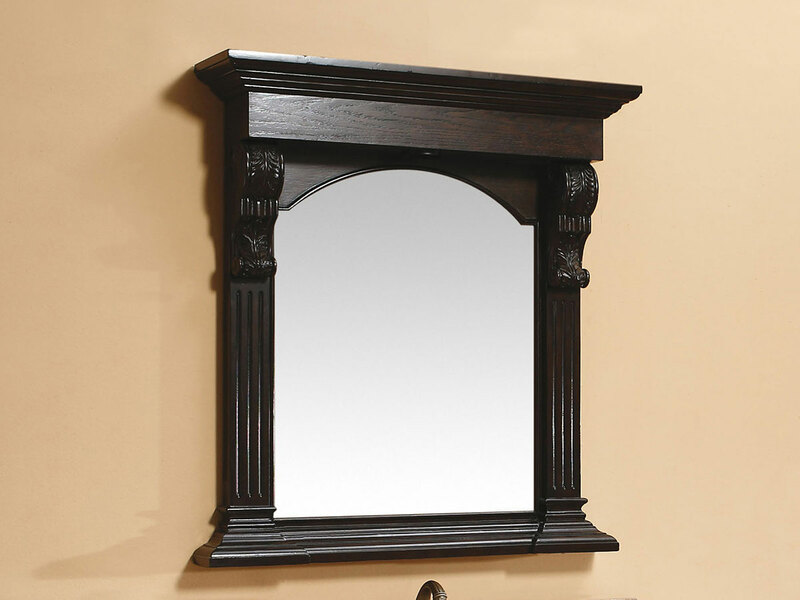 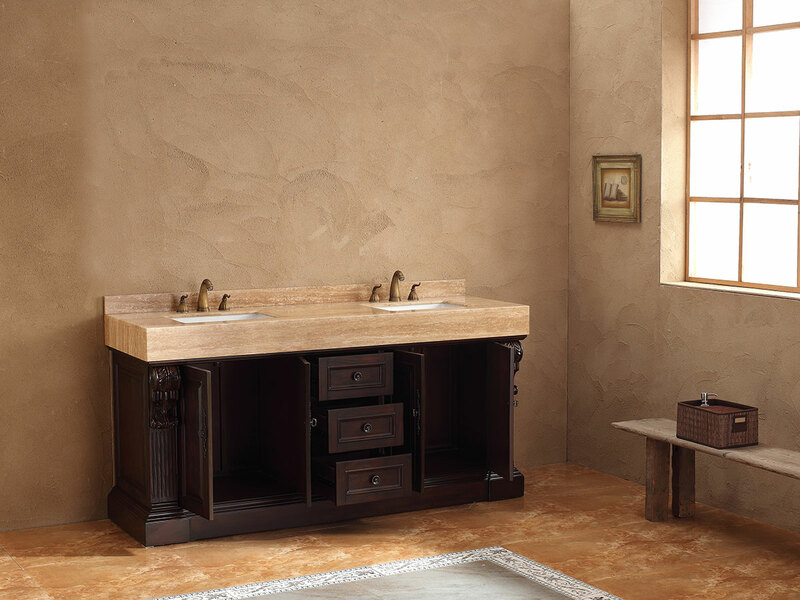 The 72" Boley Double Sink Bathroom Vanity is a solid choice for your large traditional bathroom with a rustic twist. 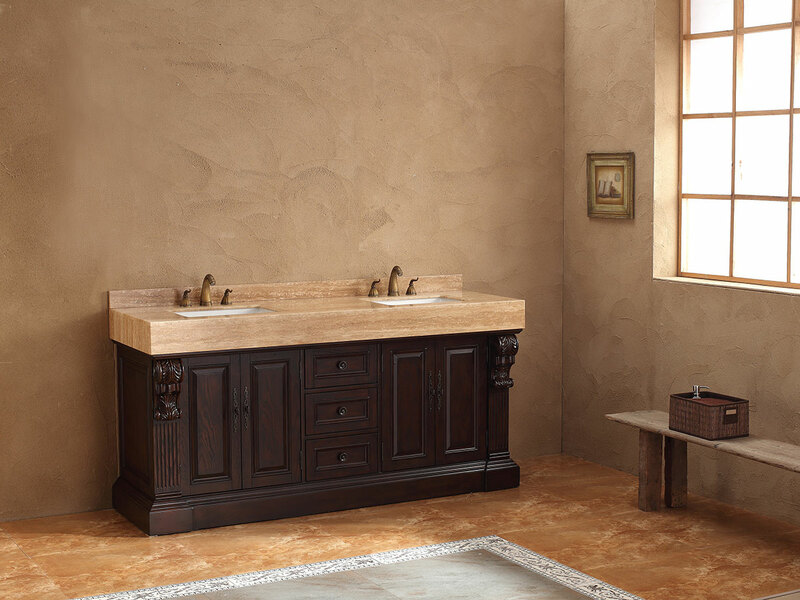 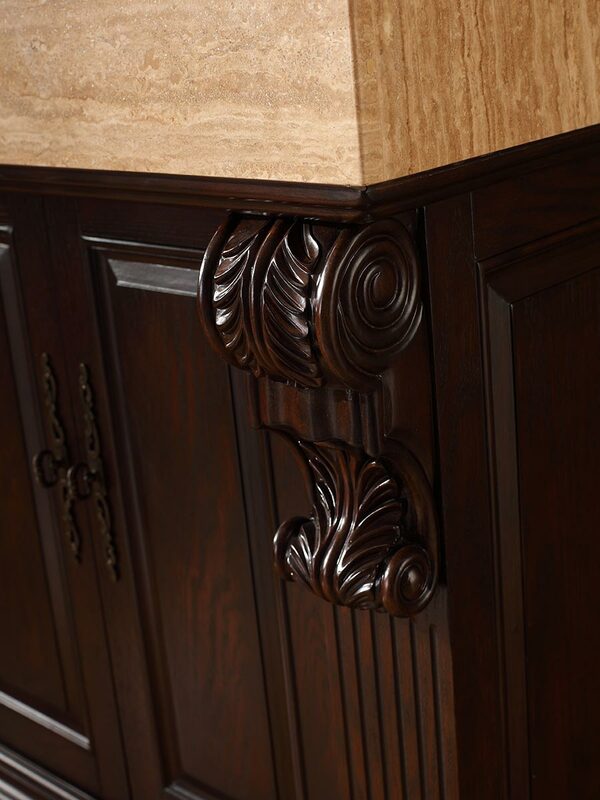 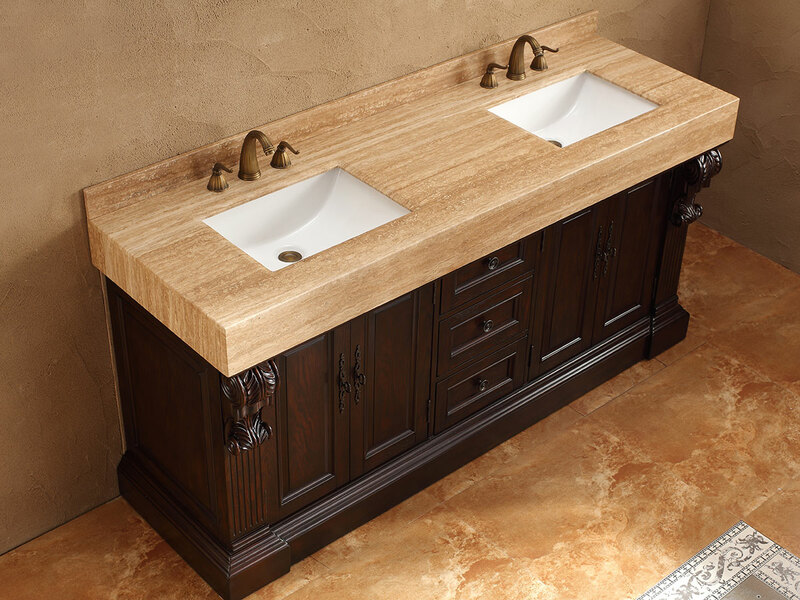 The wood grain in the finish gives this vanity a bucolic charm, while the intricate carvings paired with a luxurious travertine top and antique drawer and cabinet handles add old-world opulence. 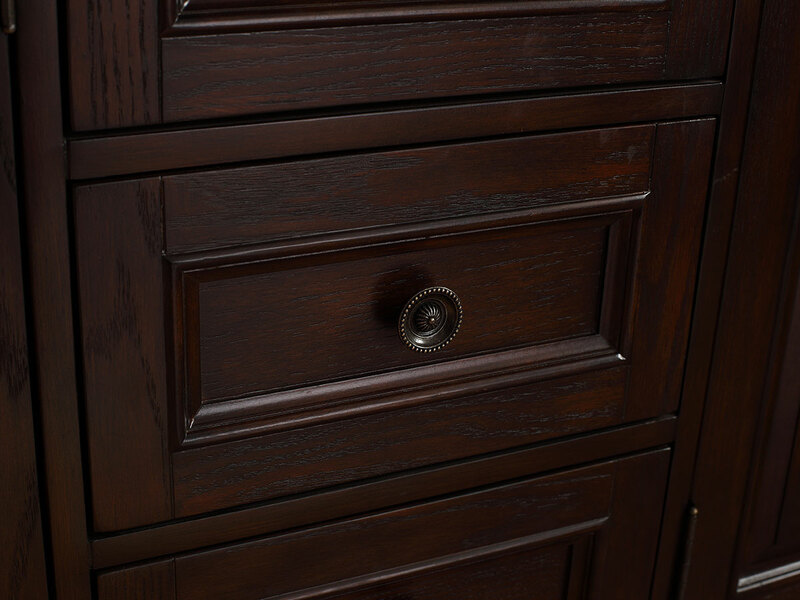 Three fully-functioning drawers and four cabinet doors will keep all your new-world belongings in place, and the high-quality workmanship and materials of this vanity will ensure they stay there for years.